Even if you’re not a fan of football, chances are you’ll be attending (or hosting) a Super Bowl party this coming weekend. And in between yelling at the TV and watching those multi-million dollar commercials, you’ll be digging into the REAL reason for the hoopla: next-level food. It’s America’s Ultimate Snacking Holiday, and we’ve got you covered with 8 recipes we’ve tasted that are guaranteed to make your dish the hit of the party. 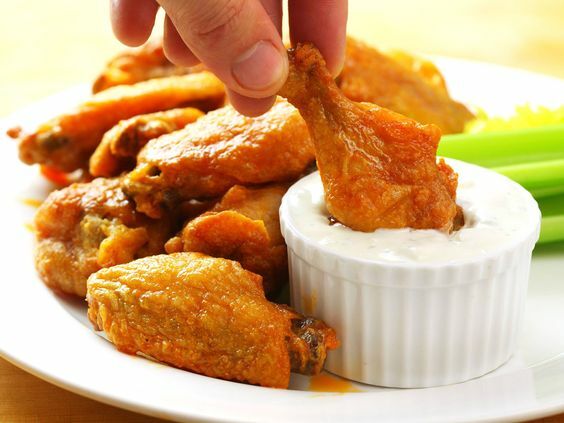 These chicken wings are crispy, juicy, and spicy, and they’re NOT FRIED!! That’s right, thanks to a secret ingredient, they bake up so well your party won’t even know the difference. You do have to start these the night before, but they are SO worth it. 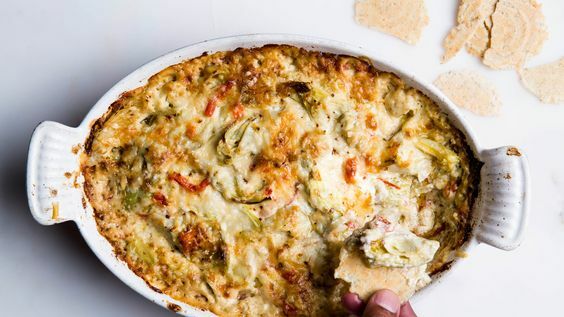 The secret to the BEST Artichoke dip? Mayonnaise. That’s right, the dip you can’t stop eating is HOT MAYO. Just close your eyes and let it happen. This is a holiday, after all. Right? 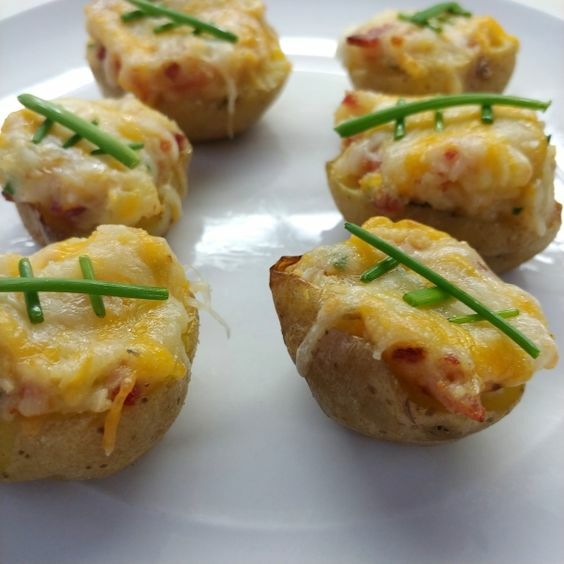 My very own recipe for tiny twice-baked potatoes is cheesy, bacony, and can be prepped ahead of time and popped in the oven at your party. They’re THE most tasty thing, and I am sharing them with YOU. These little bites are tasty perfection. 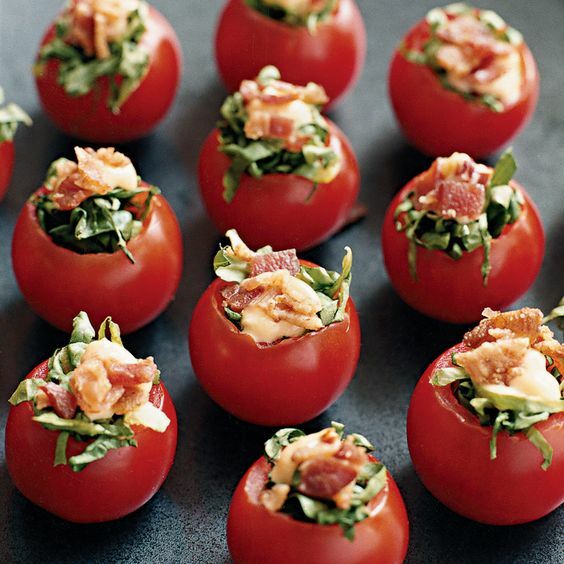 Hollowing out the tiny tomatoes does take some time, but it’s worth it to put these tasty, fresh bites on the table. 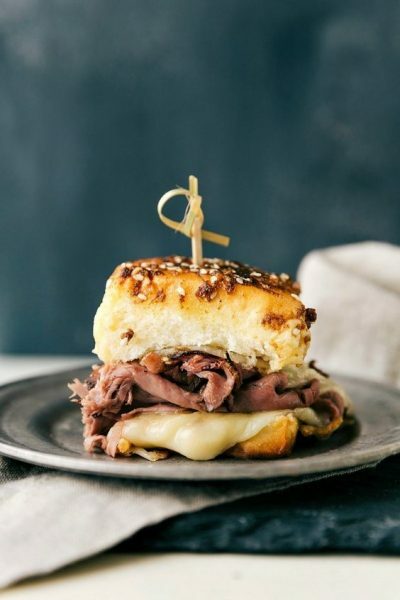 Quick, easy, and OH so tasty, these French Dip sliders use au jus for a savory seasoning on top of the rolls. 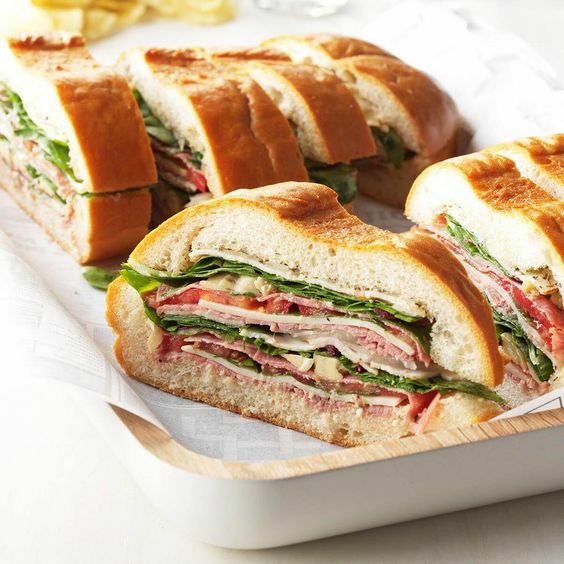 This giant sandwich (called a Picnic Loaf) is easy to assemble at home, then slice when you get to the party. You can use this recipe or any combination of meats and cheeses, just make sure you get some veggies in there, too. Bring along a few condiments for the side and you’re set! 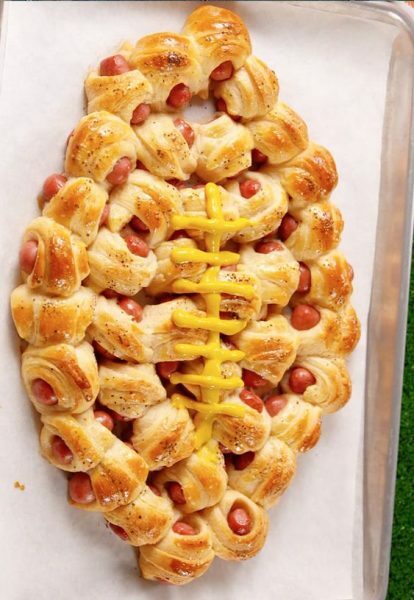 This one is an old standby, but thanks to a little creativity, it’s super cute and ready for your Superbowl table. It’s perfect if you have zero time and/or skill in the kitchen, because it comes together in under 30 minutes with pre-bought ingredients. If I don’t get some veggies on Super Bowl Sunday I am a sad panda. 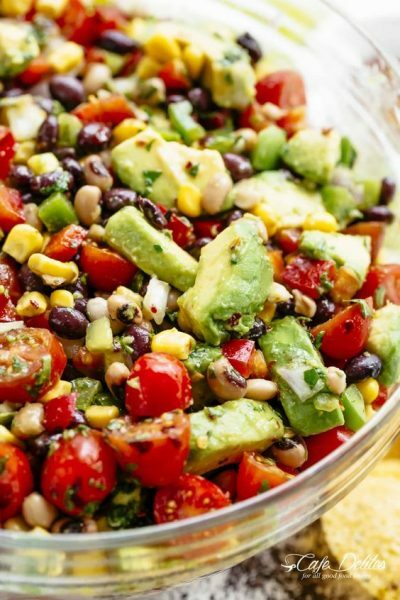 Mix it up in the morning and serve with corn chips for a bright, refreshing, crowd-pleasing dish.